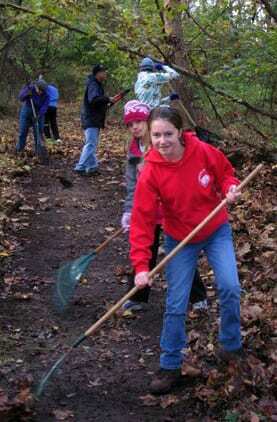 Join in maintaining existing trails and building new ones in West Windsor’s preserved open space. This is fun for the whole family! E-mail to be added to our list of trailblazers. Let us know if you have any special construction skills. Talk to your children’s principals about adding more bicycle safety programs in the schools. The WWBPA is ready to provide them. Encourage school officials to develop more Safe Routes to School so children can walk to school and we can save money on busing. Supplement the school bus with a Walking School Bus from your neighborhood, starting with a once-a-week run. The WWBPA can help you set it up. Help at one of our events, such as the Pedals for Progress bicycle collection in June and the annual Community Bike Ride in September. Join us for an hour or two at our biweekly Farmers’ Market table during the season. See friends and neighbors, learn more about what’s happening in town and talk about bicycling and walking. Know GIS? Help update and expand our biking and walking maps. Learn safe bicycling skills and how to teach them. E-mail us and we’ll let you know about the next class. Experienced in writing grant applications? We want to expand our funding sources and could use your help.